The OnePlus 5 now comes in Soft Gold. This is a limited time and quantity thing (supposedly), so if gold is your thing, you’ll have to act fast before supplies run out. 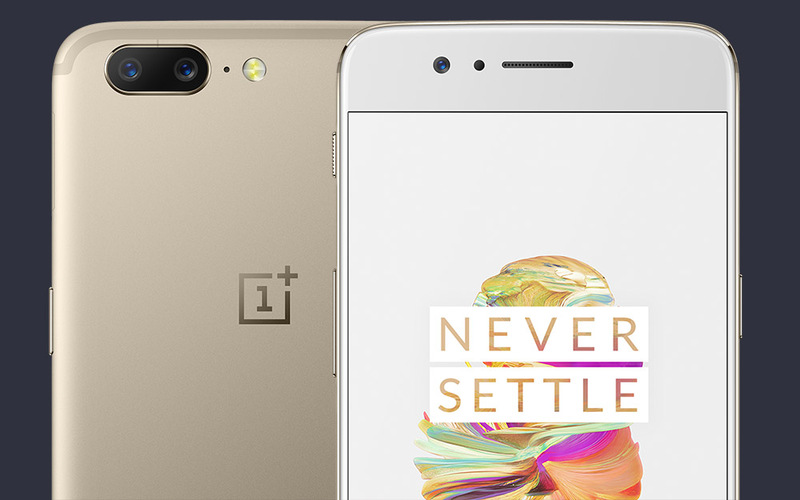 The Soft Gold version of the OnePlus features 6GB and 64GB storage. It’ll cost you $479, the same as the 6GB/64GB Slate Gray model. There are no differences in terms of specs from that model – it’s just now painted in gold on the back with a white face up front. Additionally, OnePlus will begin selling the Slate Gray model with 8GB RAM and 128GB storage in the coming weeks for $539. Not sure if the OnePlus 5 in any color is the phone for you? We’ve got a OnePlus 5 written review here along with a video review below. Either one should help you make that decision. The Soft Gold OP5 is shipping immediately.